AutoLoc has made this shaved door kit simple enough to install in less than a hour. Their bracket/motor assembly bolts to your factory door latch in minutes. There is no need to figure out where the motor needs to go. No adjustments are needed. No loud noises when you pop your door or delays. This kit fits 82-93 S10/Blazer/S-15/Jimmy (Does not fit rear doors of Blazer/Jimmy ,use AutoLoc universal kits), 88-98 Chevy/GMC Full Trucks, 92-01 Tahoe/Suburban/Yukon (Does not fit on rear doors of Tahoe/Yukon, use AutoLoc universal kit), 82-92 Camaro/Firebird, 81-88 Monte Carlo, 85-94 Astro/Safari Van And 78-87 El Camino. 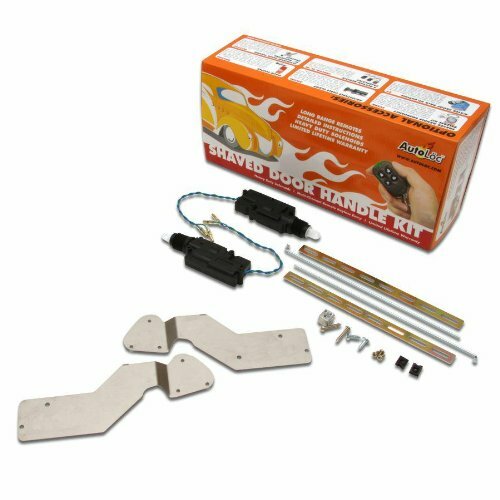 The kit includes two bolt on brackets, two actuators, miscellaneous Hardware, miscellaneous cable/hardware for interior door handle. If you have any questions about this product by Autoloc, contact us by completing and submitting the form below. If you are looking for a specif part number, please include it with your message.